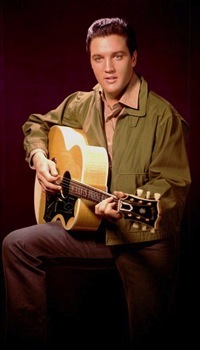 Elvis Presley on Rolling Stone's list of the “100 Greatest Singers of All Time"
In its November 22, 2008, issue, Rolling Stone listed the “100 Greatest Singers of All Time,” according to its own poll. 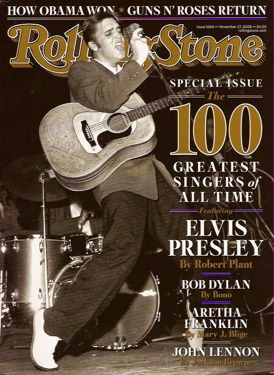 The magazine was issued with four different covers, one each featuring Elvis, John Lennon, Aretha Franklin, and Bob Dylan. Fortunately, the copy that showed up in my mailbox had the Elvis cover. The top 10 in the poll were: (1) Aretha Franklin, (2) Ray Charles, (3) Elvis Presley, (4) Sam Cooke, (5) John Lennon, (6) Marvin Gaye, (7) Bob Dylan, (8) Otis Redding, (9) Stevie Wonder, (10) James Brown. Of course, these kinds of polls are completely subjective, not to mention thoroughly meaningless, but they do fuel spirited discussion and disagreements. Some Elvis fans were doubtless incensed that anyone finished ahead of their guy. As you might be able to tell from the top 10, the complete list leaned heavily toward established male rhythm and blues singers. Intermixed along the way was a smattering of straight country, hard rock, and mainstream pop vocalists. Such a list begs two questions: “Who had a vote?” and “What makes a singer great?”Rolling Stone answered the first question and vaguely addressed the second one. 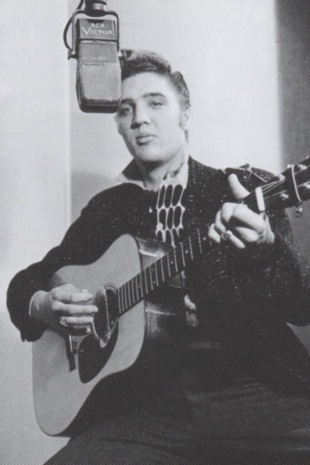 The magazine listed the names of 179 singers, musicians, producers, executives, journalists, etc., who were asked to list “20 favorite vocalists from the rock era, in order of their importance.” The only voter on the list with a direct connection to Elvis was Scotty Moore. The instructions made it clear that voters were to consider each singer’s influence in the rock era more than voice quality. In a lead-in article, titled “What Makes a Great Singer?” Jonathan Lethem admited the subjectivity of such a question. “The beauty of the singer’s voice touches us in a place that’s as personal as the place from which that voice has issued,” he explained. That, of course, explains why Elvis fans think his voice is the greatest ever, while non-Elvis fans can’t stand to listen to his music. The job of justifying Elvis’s #3 spot on the list was given by Robert Plant, the former lead singer of Led Zeppelin. He doesn’t do a very good job of it. He starts out with a few generalizations, such as, “I just heard this voice, and it was absolutely, totally in its own place. The voice was confident, insinuating and taking no prisoners.” Plant spends the rest of his allotted space listing his favorite Presley recordings and telling about his meeting with Elvis in the early seventies. Now, I wouldn’t have put any of those titles in my list of “Hanson’s Top 500 Favorite Elvis Recordings.” I only mention that to show I understand that many of you will disagree with some of my personal favorites that are listed below. Therefore, I’m going to save some space by asking you to mentally add the phrase, “in my opinion,” to the end of each sentence that follows from now on. 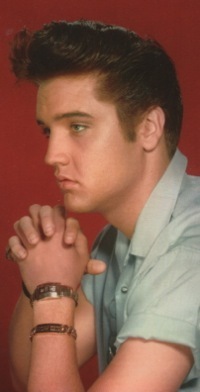 “Love Me Tender” notwithstanding, Elvis’s voice was not mature enough to handle ballads in the 1950s. His uneven and strained efforts on “Is It So Strange,” “Blueberry Hill,” “Don’t,” and others, make his ballads of that era among his worst vocal efforts. Two years away in the army gave his voice time to mature, and ballads became one of his strengths. “Are You Lonesome Tonight?” was one of the best vocal performances of his career. 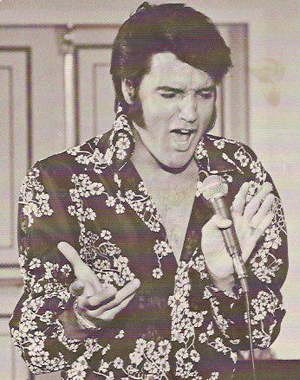 Elvis’s vocal output in the seventies was very uneven. He was at his best then when singing tunes like “An American Trilogy” and “Bridge Over Troubled Water.” Such recordings featured his voice in soft ballad segments that built into strong, big voice endings. 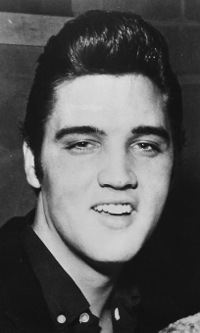 “How Great Thou Art,” among the best of his critically acclaimed gospel recordings, was another effort that put Presley’s great vocal range on display. 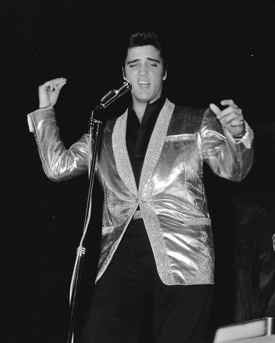 "The job of justifying Elvis’s #3 spot on the list was given by Robert Plant, the former lead singer of Led Zeppelin. He doesn’t do a very good job of it."